Our January Sangria Weekend will be 1/25-1/27. Glasses are $4, Carafes are $15.99, and Carafes with a cheese plate are $21.99! 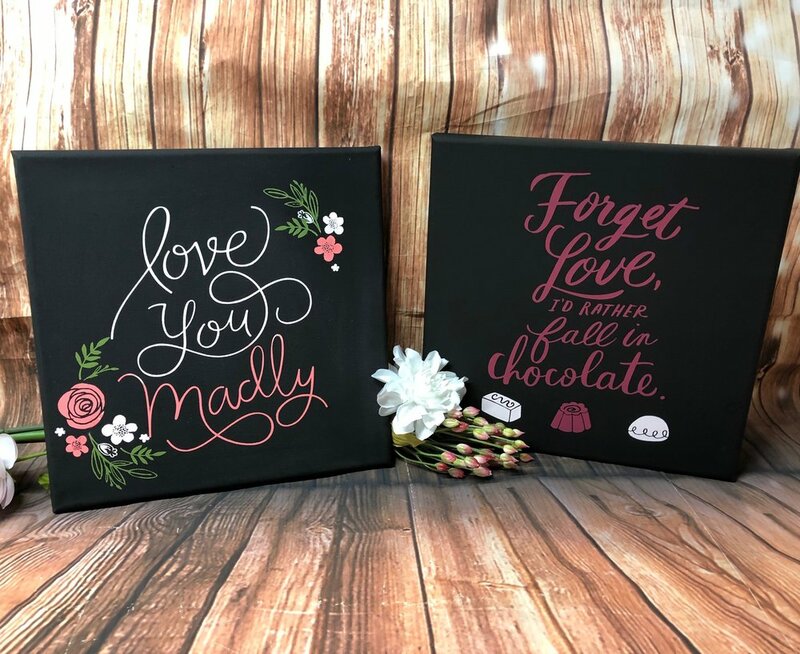 We are partnering with Be-Youtiful with Chalk Couture for a fun Valentine's theme sign event at our tasting room. This will be a delightful "Make and Take" event that includes a glass of wine and cheese plate! The classes are on January 26th, the first class is at 12:30 the second class is at 3:00. The signs are 12" x 12" and the colors and flowers can be personalized. All supplies are included with your ticket purchase. Must be 21+ to attend. When purchasing your tickets please buy the ticket with the saying you would like to paint and the time of your class. As a farewell to 2018 we will be serving up our warm Winter Sangria all weekend! Come on out and visit us. Glasses are only $4. Holiday Wine Sale and Sangria Weekend! Stop by our tasting room this weekend, 12/21 - 12/23, to sip on some sangria while shopping for those last minute gifts in good company! You will receive 5% off 6 bottles, 10% off 12 bottles, or 15% off 18+ bottles. We will have sangria all weekend long! Glass are only $4 or you can order a carafe of sangria for $15.99. Happy Holidays from all of us at White Tail Run Winery & Vineyard! Join us on 12/15 for a fun Holiday party! Santa, Sangria, & More! Santa will be here from 2-4 so come on out and tell him what you want for Christmas while sipping on some sangria! You will also be able to decorate/personalize your own cork wine glass charms for $10! Purchase your tickets below for the diy cork wine glass charms. We will have a stall at the Indoor Holiday Farmer’s Market at the Matt Ross Community Center on 12/1 from 8-2. Come on out and see us! We will be open Wednesday 3-5, Friday & Saturday 12-5, and Sunday 12-4. We hope you all have a safe and fun holiday with family and friends. We will be offering a 10% discount to all U.S. Veterans and Active Military on Sunday, 11/11 in our tasting room in honor of Veterans Day. Thank you for serving! Join us for an Evergreen Holiday Wreath Class in our tasting room at White Tail Run Winery! We are partnering with The Arrangement KC and in this class you will use fresh pine, firs, and boxwood to create a seasonal wreath that can bring winter cheer inside or outside your home! Included will be an 18" metal frame, all the evergreen, florist wire, gloves and clippers to trim the evergreen, a large bow made from your choice of red/gold ribbon or natural jute/burlap, pine cones, and a glass of our award winning wine! You are also able to bring your own add-ons if you wish. Class size is 12 people and will start at 1:00. If there is enough interest a second class at 3:30 will be added. The wreath retails for $50-$60 in a florist shop and that doesn't include the fantastic wine. :) This is a Shop Local Business Saturday event, come on out and support your local business owners! Happy Hallowine Party on 10/27! Come join us for a day of Hallowine Fun!! Guests will get to sip on sangria, decorate cork wine glass charms, AND we will have a costume contest starting at 4:00 with the winner announced at 5:30. The person with the best costume WINS a prize!!! For your ticket price of $10 you will get to decorate four cork wine glass charms and sip on a glass of our Spooky Hallowine Sangria! We will have the charms laid out and you can decorate them at your leisure during our business hours of 12-6. All supplies for the wine charms are included with your ticket purchase along with 1 glass of sangria. For ticket information please go to our Facebook page or click the link below. Our October Sangria Weekend is here! We will be serving our Fall Sangria. Glasses are only $4 each. Come spend the day with us. Ziveli!